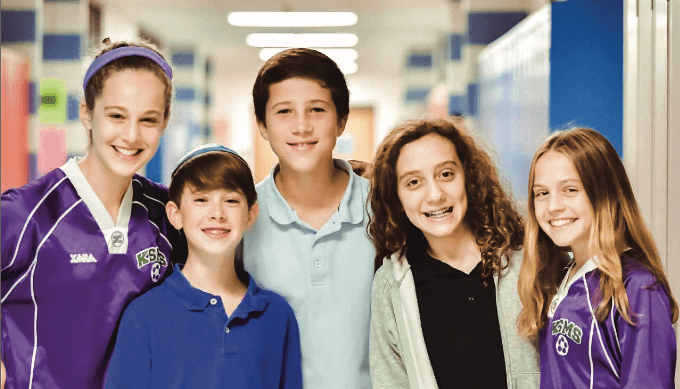 Krieger Schechter Day School of Chizuk Amuno Congregation is fortunate to have a community that cares and demonstrates support of our school through donations, both monetary gifts and volunteered time. It’s because of these contributions that our school is able to thrive and offer the excellent academic program that has become the hallmark of our brand. The 2017-18 school year was exceptional. Our enrollment continued to climb, rebounding from the recession. Our 36th Anniversary brought our community together to rejoice and reminisce, creating a festive atmosphere throughout the year. We exceeded our Annual Campaign goal by 15%, thanks to increased participation from all cohorts. We received many notable endowment gifts, helping to strengthen our resources and programs. I am extremely grateful to all of those who have given so generously to further the mission of the school. We welcome Chizuk Amuno’s eighth Senior Rabbi, Joshua Gruenberg, and look forward to many years of collaboration and partnership. Each year since my tenure began in July 2015, the school has experienced growth in every aspect and I’m excited to shepherd our school to continued success in the years to come.